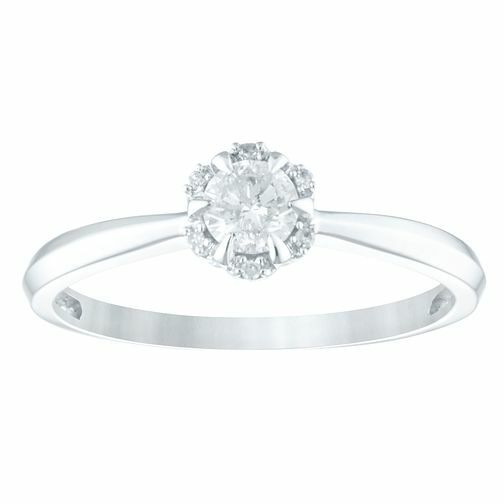 Treat the one you love to exquisite diamonds with this 9 carat white gold ring. With a solitaire diamond surrounded by smaller delicate round cut diamonds in all totalling 1/4 carat in weight, this ring is the perfect gift to display your undying love. This ring is a fabulous addition to any stacking style, adding shine and sparkle to any look.